In my previous article on Wormax IO I briefly explained how the Booster system works. In this article I want to cover another important topic in the game which is The Shop. The Shop is a very useful part of WormaxIO where you can buy WormaxIO Artifacts that can do various things for you. For example you can decrease the cooldown time of the STOP and GHOST skills. Or if you prefer, you can increase the duration of Boosters. How to access The Shop? In order to be able to buy stuff from The Shop, you must first register a free account on the WormaxIO website. You can then access the Shop by clicking on its respective button on the main log-in screen. After you set up your account, you will start to gain essence points as you play the game. The amount of essence you earn is relative to how well you perform in each gaming session. Essence Points are your in-game currency that you can use to buy WormaxIO Artifacts from The Shop. After the first death a part of your snake’s length is converted into essence with a ratio of 1000:1. All deaths afterwards convert essence at a rate of 3000:1. This basically means that you will be rewarded with 1 essence point for every 3000’th length point you gain in the game. Naturally you can buy more essence using real world currency at a rate of 500 essence points for $1,99 USD. After you have bought or earned enough Essence Points you can start to buy various Wormaxio Artifacts from The Shop in order to maximize your chance of beating the game. At first glance it might seem that even the most cheapest Artifacts cost way too much. For example the lowest tier (blue) Artifacts cost 100 Essence each. 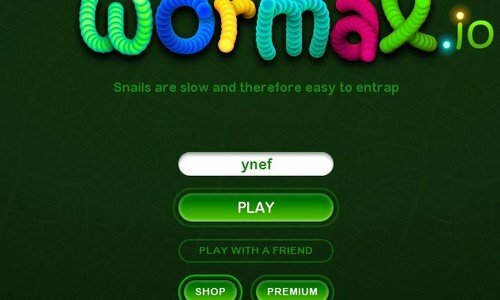 However you shouldn’t let the seemingly high price of Artifacts bother you because compared to Slither.io, this game is much easier to master! Thanks to the various Boosters available throughout the world, you can grow your snake larger pretty quickly. Tier 1 is the lowest and cheapest of them all. These Artifacts cost 100 Essence Points each. You can easily recognize the Artifacts in tier 1 by their Blue color. They also appear on the top of all other Artifacts. You can decrease the STOP and GHOST cooldown time periods by 5% with Tier 1 Artifacts. Additionally you can increase your starting length by 100%, increase the Magnet Booster range by 5% and increase the field of vision by 2%. Additionally the worm receives -50% of the toxic mass consumed. As the cost of the higher tier Artifacts increases, so does their overall power. 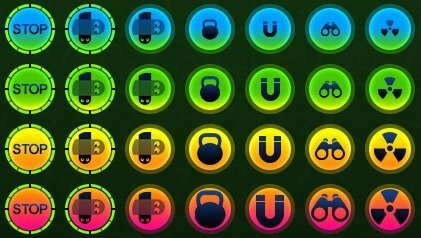 For example the tier 2 Artifacts which you will recognize by their Green color increase your starting length by 200%, increase the Magnet Booster for 10% and field of vision by 5%. Additionally the worm receives 0% of the toxic mass consumed. Each Tier 2 Artifact will cost you 500 Essence Points which is the equivalent of about $2 USD in real world currency.